…and asks for Lightning in a Bottle. Just let me pull a few bottles off the shelf, and I’ll show you the secret to capturing Lightning in a Bottle. Lightning Farron. The woman you both want to get drunk and desperately hope you never see drunk. She’d either be a lot of fun, or punch the living crap out of anyone who looked at her sideways (or compared her to someone named Cloud). Or both. What to say about Lightning? Tough as nails, very guarded, and a heart of gold. Oh, and pink hair. While some might be turned off by her initial boldness, she really can be very sweet once you get to know her. 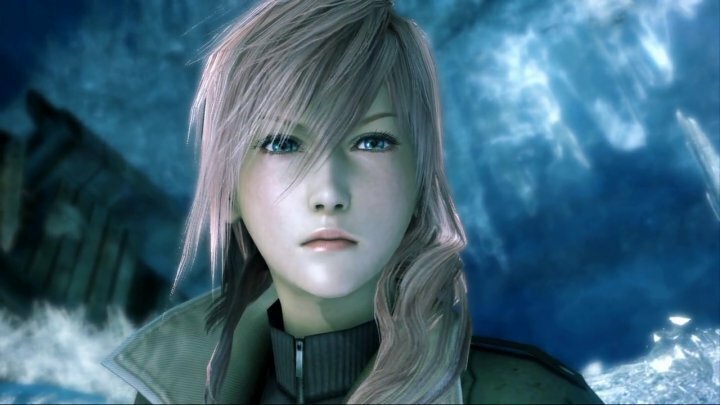 Capable of knocking you on your ear, Lightning in a Bottle captures the power, grace, and complex personality of Lightning Farron. It comes off as strong at first, and a little tart, but the sweetness comes through the more time you spend with it. And just like Lightning, you want to be careful how you take this drink on. Like waiting for an ATB gauge to fill, the full power of this drink kicks in with time. Thanks for coming! In case you’re wondering, we do serve non-alcoholic beverages for those so inclined, as well, so be sure to stop in next time and see what else we’ll be mixing! Don’t you go call Lightning a tart! Anyway, I’m not a fan of gin of any kind so I’ll give this one a miss. Serve with a glace cherry. Ooo nice! I’ll have to try that one! I have a list of drinks, so I’ll add this one to try! Woo! Glad you stumbled upon this, then 🙂 Hope you enjoyed the drink and your Friday!! Lightning’s #1 Fangirl highly approves of this!! Great description too 😀 It starts off slow but hits you like flash of Lightning (I’m drinking one-ish now so I’ll buzz of shortly, haha). Nice! Glad you liked it. And noted. I’ll just stay waaay over here until she wakes up…. Reblogged this on LightningEllen's Release. Something about capturing a lightning in a bottle has quite the intriguing sound to it. At the moment though I think Lightning is someone you can buy a drink, talk about many things in the world just as long you don’t touch upon the subject of an l’Cie. I’m more of a whiskey man himself but enjoyed reading this description of a drink that might be something to be tried out one day. Stay Cozy and cheers to a good evening! I would definitely go get a drink with Lightning! Just because she doesn’t smile much doesn’t mean she wouldn’t be fun to hang out with. For whatever reason, Lightning speaks more bourbon to me, but a gin cocktail does seem to capture the flavor of her as well. Thanks! 😀 Ah, so punny! …perhaps I’ll find more magic that comes out of a bottle?